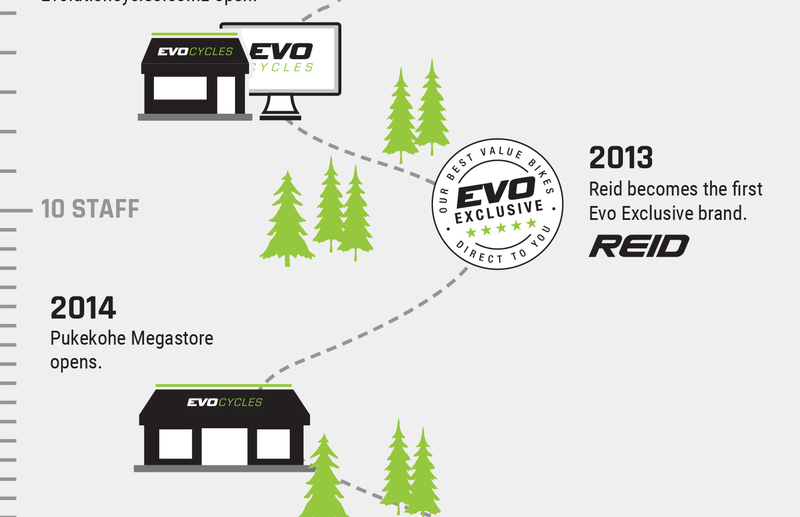 Evolution Cycles started in 2007 and we’ve been on an epic ride ever since! 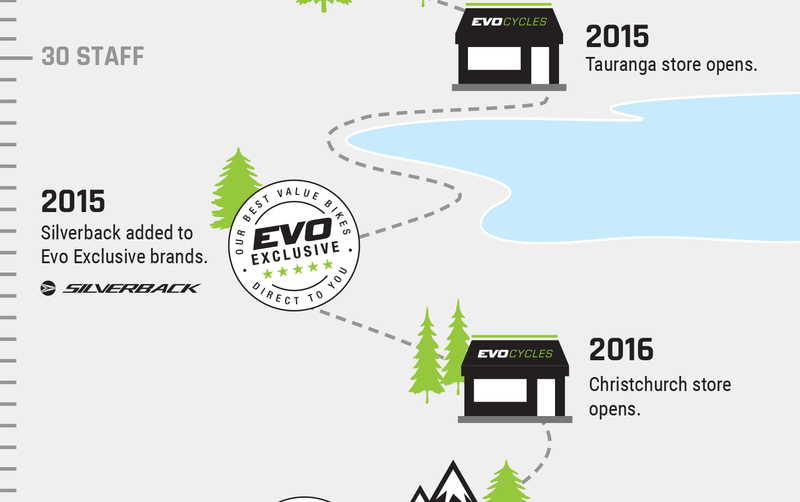 From humble beginnings in the Waikato, we’ve grown to have stores nationwide. 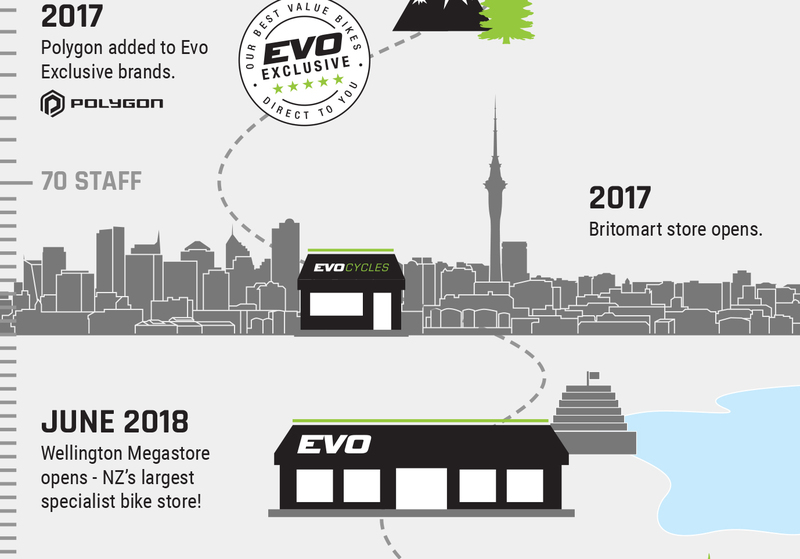 In 2011 we launched evolutioncycles.co.nz, delivering our incredible range and great prices to cyclists throughout New Zealand and beyond. 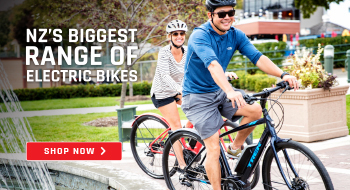 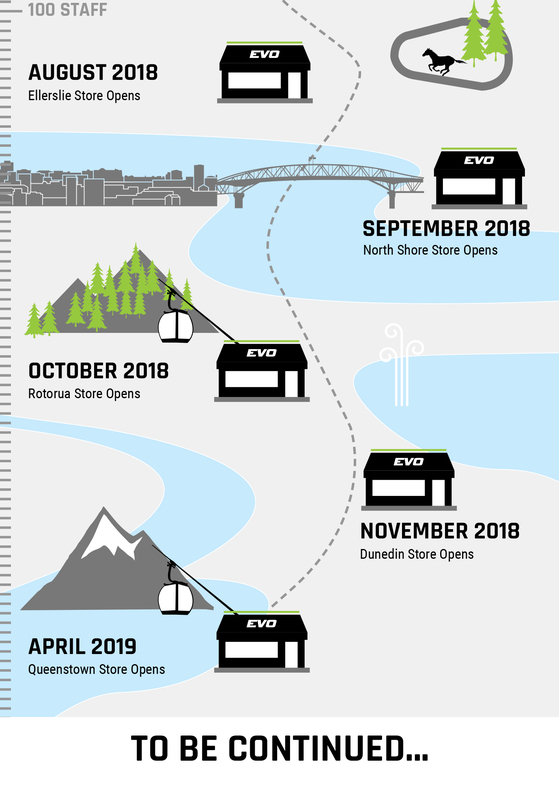 Founded on the principal of "There Must be a Better Way" Evo has continuously grown and innovated to bring you NZ's Biggest Range of Bikes, at the best prices possible. 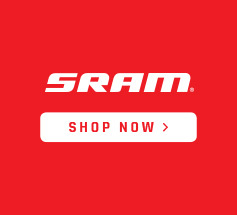 Our specialist bike retail stores are still the foundation of our company - you'll find in-store experts, master mechanics and a wealth of knowledge to help you get the most from your ride. 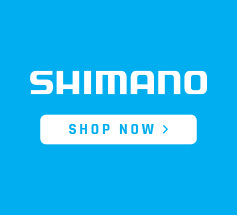 If you're shopping online - our bike experts are only a click or phone call away. 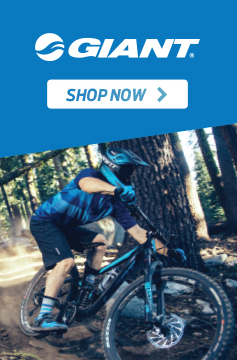 Our range of Evo Exclusive Brands offer even more exceptional value and quality - plus huge savings for you as we purchase direct from the manufacturer.